In an earlier article about recruiting online, you were encouraged to create a careers website for your company's recruiting efforts. Then, online networking through email and social media was encouraged for developing a broad, tech-savvy talent pool. These are five additional ways to use the web for recruiting. Post your open positions on professional association websites. It includes posting on local chapter websites or professional associations related to the job. (This is an excellent method for finding local talent.) Your online recruiting definitely targets the right applicant at a professional website. Many professional sites also send out emails to their members and/or post open positions in their journal, newsletters or magazine. For a small fee, if you have the time, you will reach a targeted, potential audience through professional association mailings to members. You can usually post your positions at no cost on college and university job boards. They are a service for students and alumni, and the educational institutions strive to create more postings. Additionally, for specialized positions, often departments have their own job boards. They may also provide employers email access to alumni mailing lists. While seeking an Environmental Compliance Specialist, I found several candidates through the University of Michigan’s Department of Natural Resources. If you develop a relationship with your area universities, you will also make your organization top of mind when the office makes job referrals or students seek internships. This relationship building should extent to departments where you anticipate hiring their majors as employees. Post open positions on websites that private vendors or your state and/or local government provide. By recruiting online at these sites, you target local candidates for your available positions. MLive.com - Everything Michigan and Michigan workforce development, this site provides local candidates. I’m sure your state or country has an equivalent site. Post your available positions at America's Job Bank, Click your state on the map to be taken to your state's website. Your state Workforce Development organization, through your state department of labor, appreciates employer job listings. In Michigan, employers can post positions with the Michigan Talent Bank through the Michigan Works. You'll find multiple options for both posting positions and searching for jobs when you have located your state or country agency. Post Your Classified Ads on Newspaper-related Websites. Most newspapers have an affiliated website where you can post ads. These ads are either included in the price of a classified print ad, or you can pay separately for online posting only. The advantage of the online posting is that the ads appear on the web for 30-60 days rather than in one edition of the newspaper. Additionally, you don’t pay by the space taken; this allows you to use the space necessary to describe the position. Make sure your Internet ads sell the vision and the advantages of your organization. Effective ads portray your company as an exciting and rewarding place to work. Effective job postings make people want to apply to your firm. Note that paper newspapers are becoming scarce. Even for local job postings, many of them have completely moved their content online. Websites such as Monster.com attract large national and international audiences. In a recent search for a Chief Financial Officer (CFO), posted at Monster.com, we received over 150 applications. In fact, one of our finalists for the position would never have found us except for our online job posting. recognize that many commercial sites that specialize in particular fields or positions are now available. 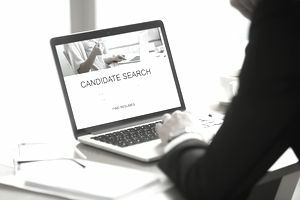 A quick search by the position desired and the words, “job search site,” will provide many options. You’ll want to sign up for my free newsletter now because you want to read all of the new articles as soon as they are available. Join HR on Facebook and Google+.